also the latest news: it seems that beer will be allowed :)"
So in the US, this is going to be an early show on Monday morning/afternoon. Start times are 12:05 pm eastern, 11:05 am central, 10:05 am mountain, 9:05 am pacific. And unless I've missed something, no plans for a webcast from this show. Sean is moving, so he has to sell a bunch of his Cure stuff. If interested, take a look at his list of items for sale here (sale is over). He will be posting updates in the comments. Update (5/27/12): Photos of the posters have been added. Update (6/7/12): Bidding will end on Friday. From Sweet Memories Vinyl on Facebook: "I met Chris Parry (Founder of Fiction Records) today who signed and produced The Cure and produced The Jam, The Associates and many others. Sweet Memories Record Shop in Fratton Road, Portsmouth, is now the official seller of Cure records, Acetates, Gold Discs and tour posters from the private collection of Chris Parry." 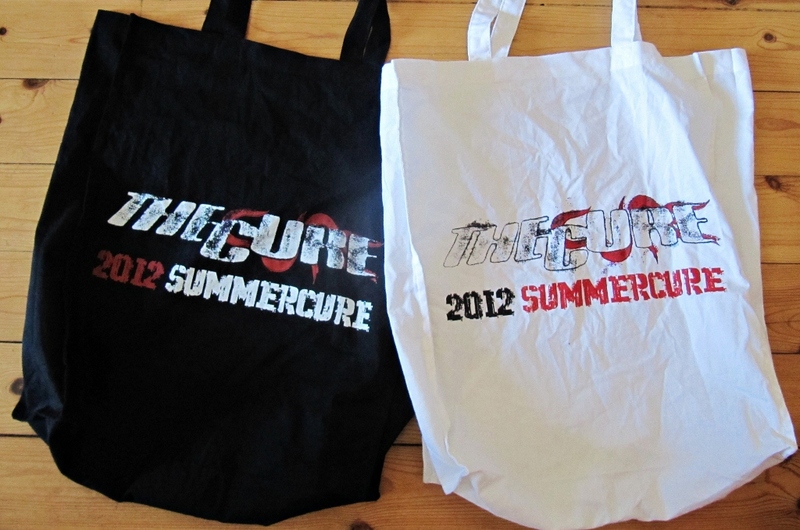 Update (5/27/12): Chris is now auctioning off some rare Cure memorabilia. Update (6/7/12): Some of the auction items are ending in the next 24 hours. 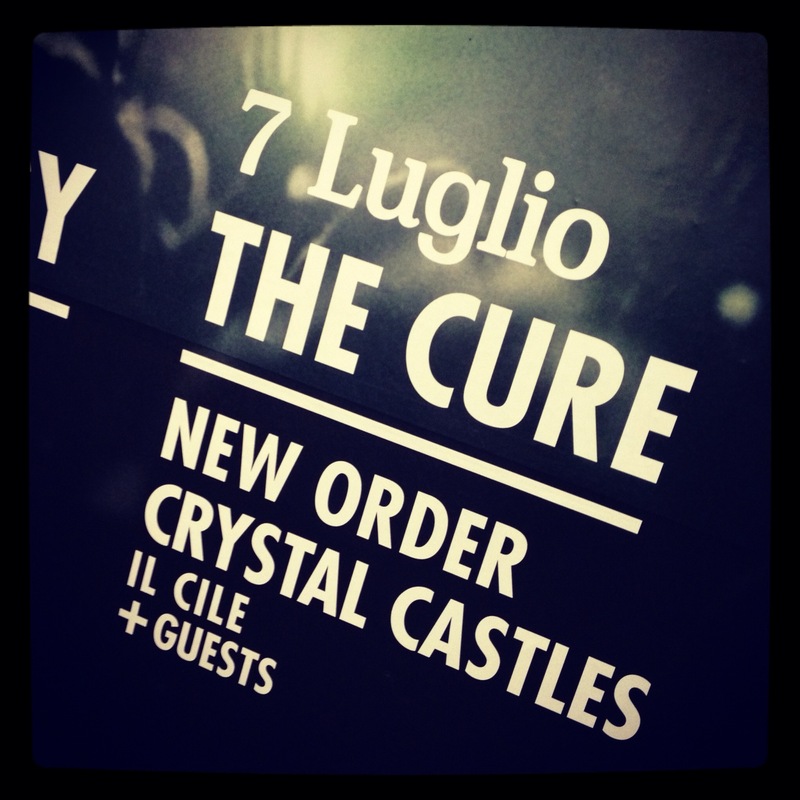 Best of Pinkpop, with Cure highlights, airs on Nederland3 at 23:30 this Saturday, June 9th. 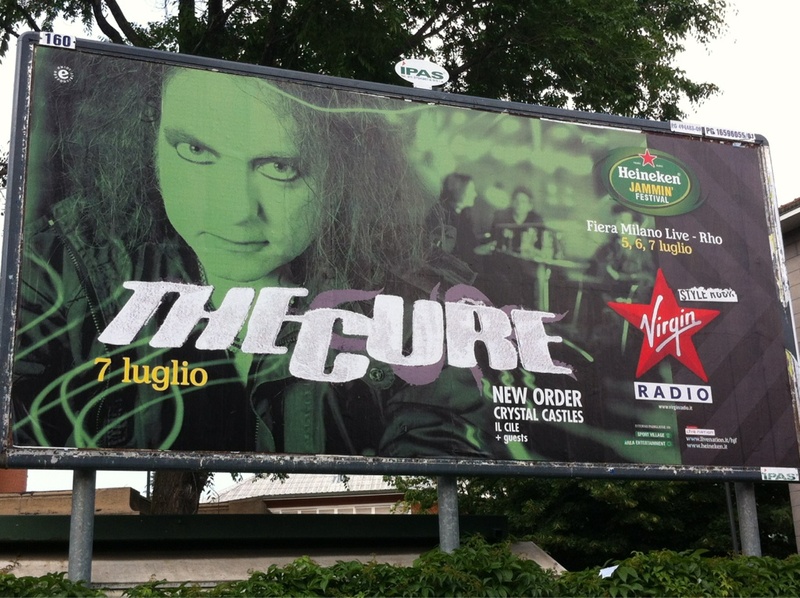 Update (6/5/12): Brent has put together the "Definitive live webcast audio" from Primavera. *Original 360p .flv video file extracted from live You Tube webcast (not re-encoded) - thanks to 'Tomer Anonyless' for the video extraction. *I have extracted the audio file from the original 360p .flv file to lossless WAVE, this is an extraction of the original audio not a recording! "There were tote bags for sale at Primavera that they were not selling at Pinkpop. Here's a photo of them." Note: Some are getting a Malware warning when trying to download this. I downloaded it, didn't get any warnings, and it scans clean for me, but use extreme caution. If you don't want to chance it, though it honestly seems safe, just listen to it at Slicing Up Eyeballs. In case you don't get it, this is a newly discovered tape of The Cure's very 1st show in the US - The Cherry Hill, NJ show on April 10th, 1980! So the very first US Cure setlist was Seventeen Seconds, Play For Today, Three Imaginary Boys, Fire In Cairo, Grinding Halt, In Your House, Subway Song, M, 10:15 Saturday Night, Accuracy, At Night, Boys Don't Cry, Jumping Someone Else's Train, Another Journey By Train, A Forest. Encore: Secrets, Killing An Arab. But the tape ends there, so we don't know if there was more. Update (6/5/12): According to the actual stage setlist posted at A Foolish Arrangement, this recording is complete.